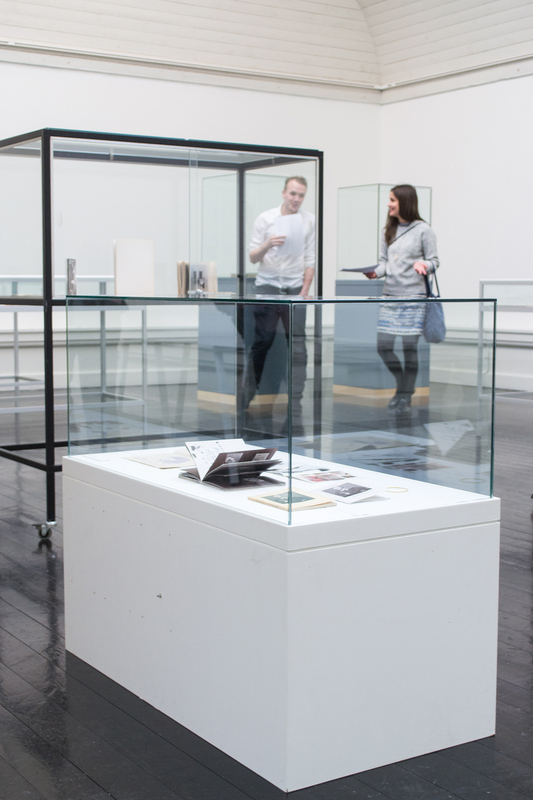 Curator Maria Kjær Themsen asked me to take part in the exhibition of Danish artist books. 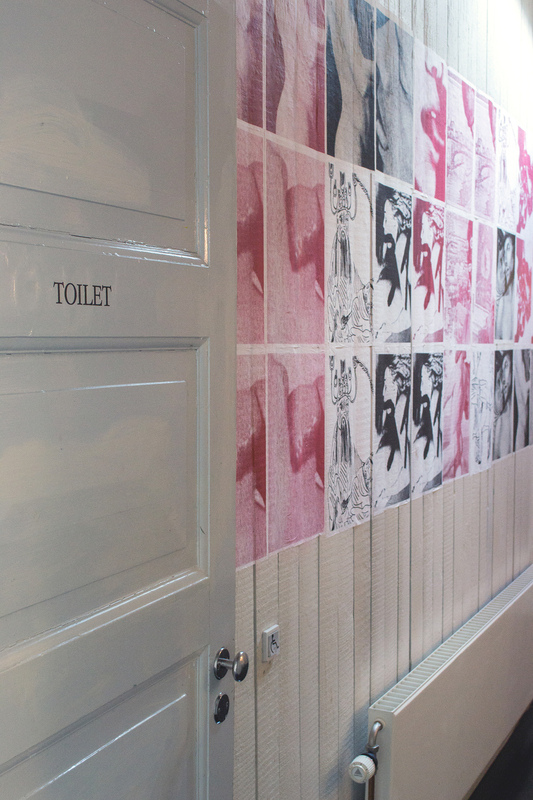 For my project I chose samples from the other artists’ works that appealed to a certain voyeuristic sensitivity and reproduced them as a series of toilet posters. 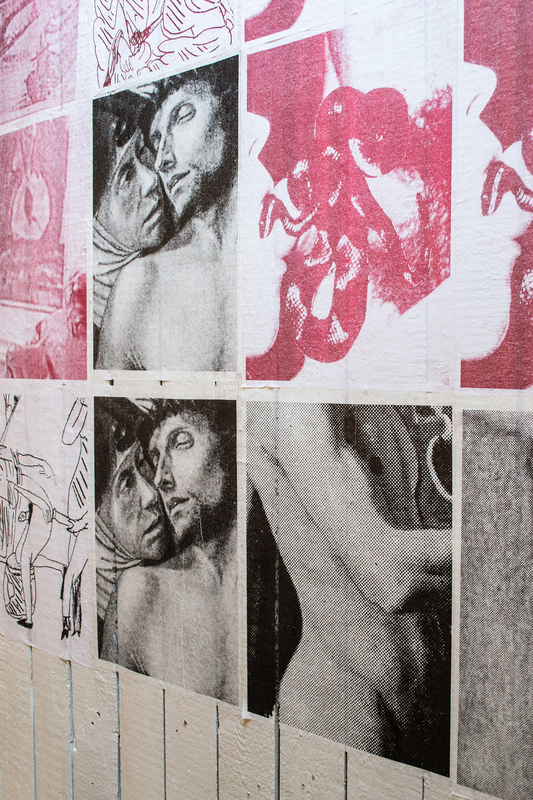 The original works were displayed in a separate showcase on a cloth roll towel. 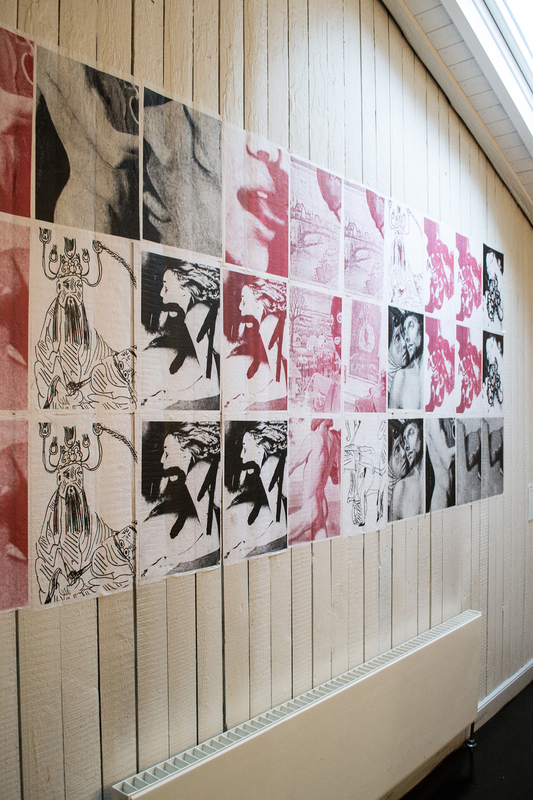 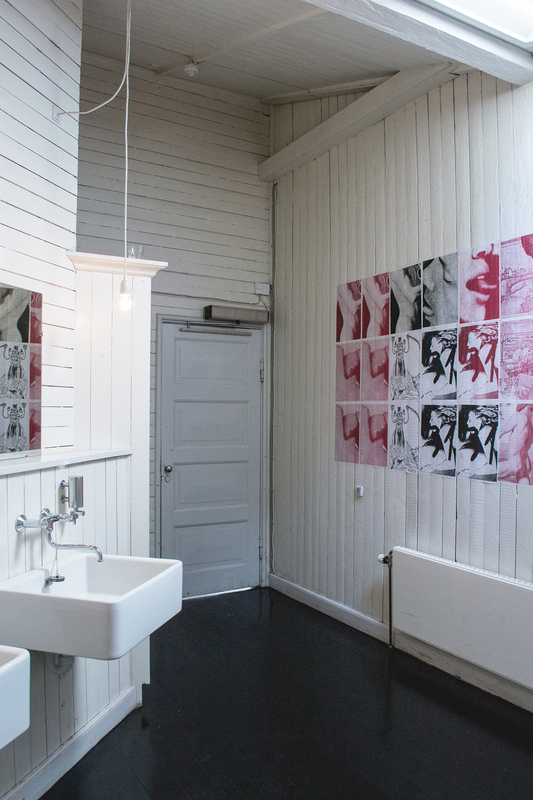 The posters were shown in the unisex restroom that was situated right next to the exhibition space.